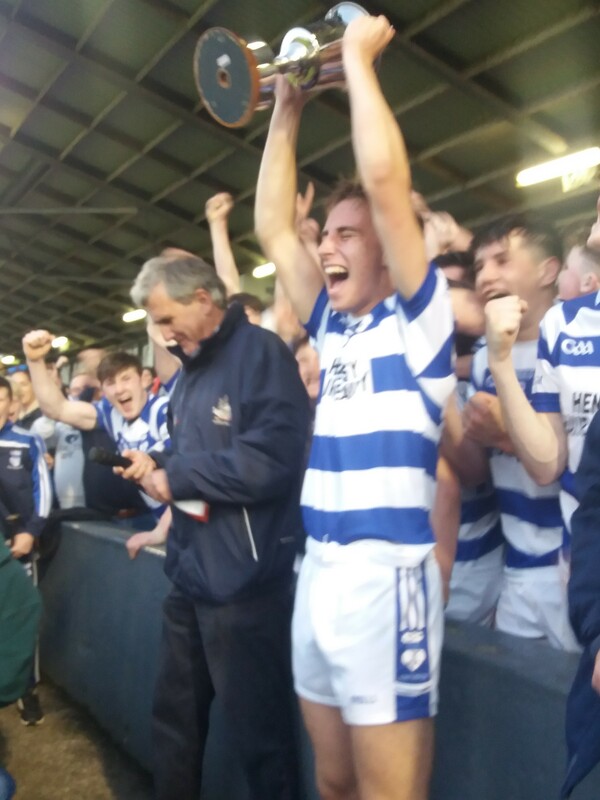 COUNTY GLORY FOR MINOR HURLERS, INNISCARRA 0 - 12, BLACKROCK 0 - 9. 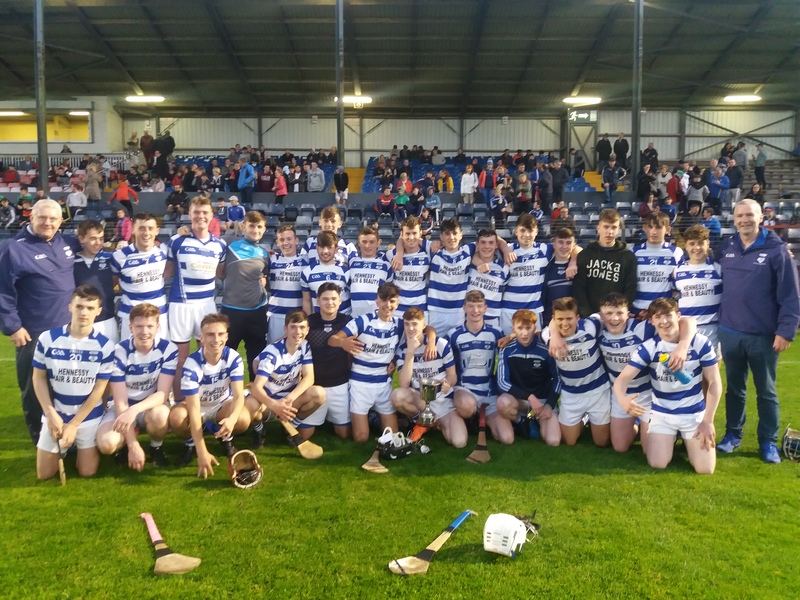 Inniscarra were crowned Premier 2 Minor Hurling Champions at Pairc Ui Rinn on Monday evening after a closely fought game against Blackrock in a game where never more than three points separated two evenly matched teams. To put this victory into context Blackrock have the most Premier 1 titles of any club in Cork so hopefully the future looks bright for Inniscarra hurling. Blackrock had the wind in the first half and scored the first three points before Inniscarra scored three in a three minute spell to level the game. A foul on Michael O'Connell resulted in a pointed free by Ardal O'Connell before Padraig Holland picked out Michael O'Connell for his point. A minute later Ardal O'Connell had his second point this time from play after very good work by the excellent Jamie O'Sullivan and Liam Buckley. 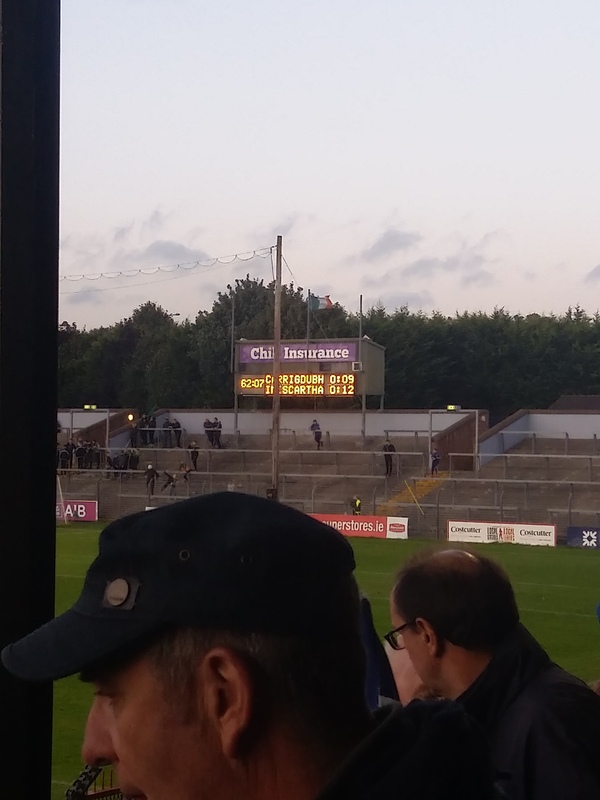 A period of pressure then by Blackrock resulted in two points but excellent defending by Ciaran Lombard, Cillian Murphy and Jack O'Sullivan and some excellent saves by Dave Og Coleman kept the score to the minimum. A foul on James Buckley resulted in a free which Padraig Holland sent into the square and Owen McCarthy collected to score a point. Con O'Leary and Edward O'Connor then combined for Liam Ryan to score a beautiful point and level the scores at five points each at half time. 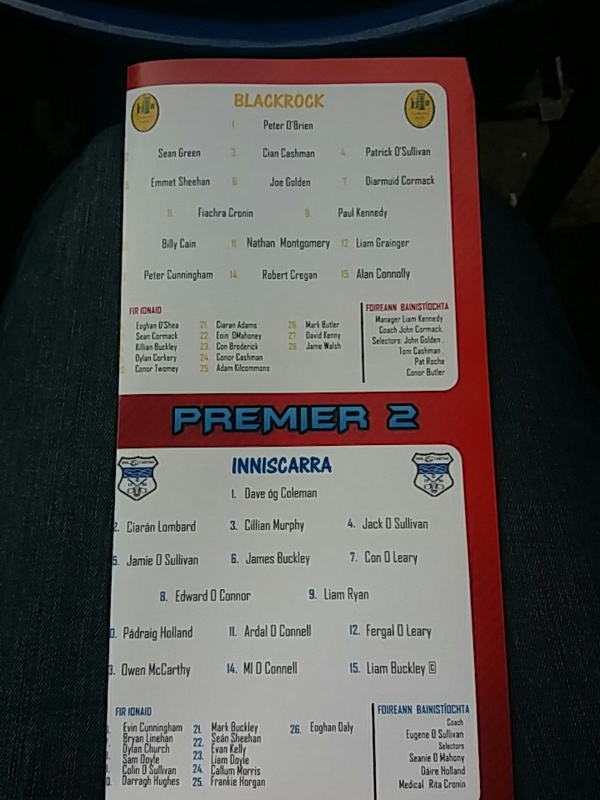 Blackrock started the second half with three points in the first five minutes but then Inniscarra upped the intensity and outscored the opposition by seven points to one in the remaining period. Ardal O'Connell pointed two frees before excellent defending by Ciaran Lombard resulted in the ball reaching Con O'Leary and his pass to Fergal O'Leary led to an excellent point to level the game again. Good work by Michael O'Connell and Fergal O'Leary resulted in a 65 which Ardal O'Connell converted to restore the lead. Substitute Dylan Church then scored a very good point to increase the lead but Blackrock responded with a point. Two excellent points by Owen McCarthy gave Inniscarra a three point lead coming up to full time but Blackrock got a close in free which was brilliantly saved and cleared by the Inniscarra defence and the full time whistle sounded to great joy for Inniscarra for a well deserved victory. 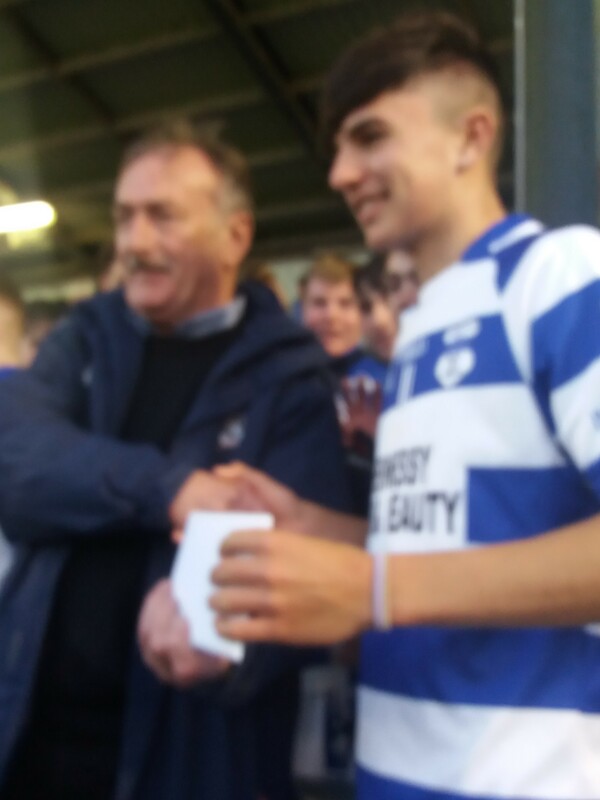 Inniscarra captain Liam Buckley accepted the cup from Rebel Og chairman Micheal O Mahuna on behalf of his team before a very large Inniscarra support and thanked his coach and selectors, Eugene O'Sullivan, Seanie O'Mahony and Daire Holland and all who helped and followed the team throughout the year. Scorers, Ardal O'Connell 0-5, Owen McCarthy 0-3, Michael O'Connell 0-1, Liam Ryan 0-1, Fergal O'Leary 0-1, Dylan Church 0-1. Team, Dave Og Coleman, Ciaran Lombard, Cillian Murphy, Jack O'Sullivan, Jamie O'Sullivan, James Buckley, Con O'Leary, Fergal O'Leary, Liam Ryan, Padraig Holland, Ardal O'Connell, Edward O'Connor, Owen McCarthy, Michael O'Connell, Liam Buckley(c). Subs, Dylan Church for James Buckley, Evin Cunningham, Bryan Linehan, Sam Doyle, Colin O'Sullivan, Darragh Hughes, Mark Buckley, Sean Sheehan, Evan Kelly, Liam Doyle, Callum Morris, Frankie Horgan, Eoghan Daly.